Bert Monroy has written several book on graphic designing in the past, and more recently, he started the web series PixelPerfect. You don’t have to be a Photoshop guru to follow these tutorials. In fact, it’s better if you aren’t. The problem with most Photoshop tutorials is that they’re mostly in text form. So naturally, visual learners (like me) have a hard time grasping the concepts. If you’ve ever followed a Photoshop tutorial only to be aggravated and disappointed an hour later, then you know that video tutorials are the best way to learn. With Bert’s clear explanations, chances are you’ll be creating something very similar to what’s on his screen. 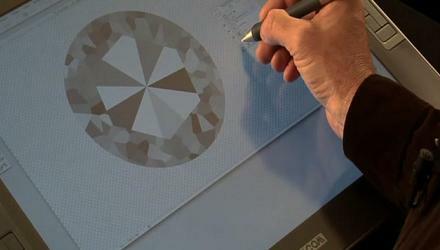 In this episode, you’ll learn how to make flashy jewelry-like objects. 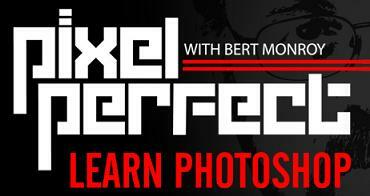 Unfortunately, the last episode of PixelPerfect aired a month ago, but there are still 160 tutorials left to follow.